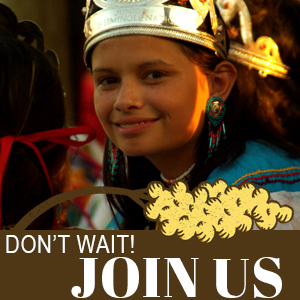 The 40th annual Wewoka Sorghum Festival will take place on Saturday, Oct. 24 in downtown Wewoka and at the Seminole Nation Museum, located at 524 S. Wewoka Ave., Wewoka, Okla. This family-friendly celebration is sponsored by the Oklahoma Arts Council and the Oklahoma Humanities Council. Awards include plaques for: Top 15 Stock Cars, Top 20 Modified Cars, Top 10 Stock Trucks, Top 10 Modified Trucks, Top 5 All Imports, Best Vintage, Best Classic, Best Custom, Best Paint, Best Interior and Best of Show. $100.00 for car club with the most entries. At the end of the month, show horses, marching bands and a "Brothers of the Brush" beard and mustache display will celebrate sorghum at the festival in Wewoka, Okla., where you can spread the syrup on Indian fry bread. 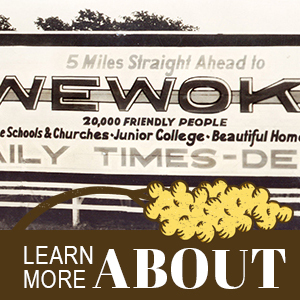 Here’s a festival you can really get your teeth into: Every fall, the town of Wewoka, Okla., capital of the Seminole Nation, honors sorghum syrup — that sweet, typically Southern topping to biscuits or pancakes. The local sorghum cane is a little green this Fall. It's 3 weeks early according to Dan Houser who helps grow Wewoka's crop every year. "Mike Morgan didn't cooperate with us," he chuckles, "and we didn't get the rain." It doesn't make much difference though. The stalks he hauled from the back of his pickup truck made a nice bouquet for the front entrance to the Seminole Nation Museum. Another trailer load of cane from Holdenville actually made the molasses for the Sorghum Festival, which started on a Rotary Club whim back in 1976. Second-generation sorghum harvester Dan Houser says the tools of his trade are his mind, strong back and a sharp machete. Houser, 66, and two friends spent most of this week in a field near Wewoka, harvesting sorghum cane for today, the 34th annual Sorghum Day Festival. 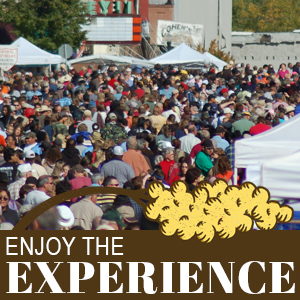 Nearly 40,000 people from around the world visit Wewoka on the fourth Saturday in October to join in the annual Sorghum Day Festival. 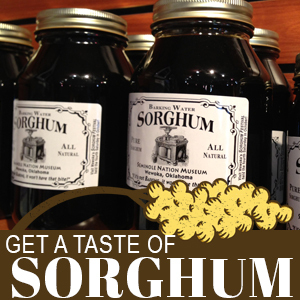 Sorghum Day started in 1976 as a celebration of Wewoka's 110th anniversary. Over the years, the festival has grown and gained national recognition.